Morning Ladies, god i'm so tired this morning, on my way to work I could hardly put one foot in front of the other and the past few days i've been going to bed really early, half past 7 the night before last! Could this be a side affect of coming off the pill or could I be PG already? Being extremely tired (couldn't keep my eyes open at work... and kept drifting off, lol...) was a major sign that i was PG!! It started at 5wks..!! I never had af as came off pill and got pg so quickly. If you do a test and its bfn at least you will know. Good luck honey we are just the same I took my last pill around the same time you did and had my last pill bleed on the 3rd sat May and now i am 6dpo I have been feeling tired too but I think most of mine I have just been looking out for. 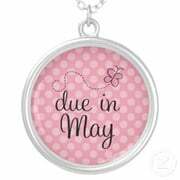 I am due to test on the 30th of this month do no be too upset if it's a BPN as it might still be too early? You go girl!! As the others said, even if it is a BFN, at least you know where you stand and you never know, you could be extremely lucky and get a BFP!!! Good luck. I'm nervous for you! What time are you taking lunch?